Shiny legs or white paint? Remember the dress debacle of 2015, when the Internet was drastically divided on whether or not a dress was black and blue or white and gold?. The debate was later resolved with an explanation of color constancy, but in the end, it remained a hot meme and point of dissent for many. Now, it looks like there’s a new optical illusion that’s stirring up conversation on the Internet. 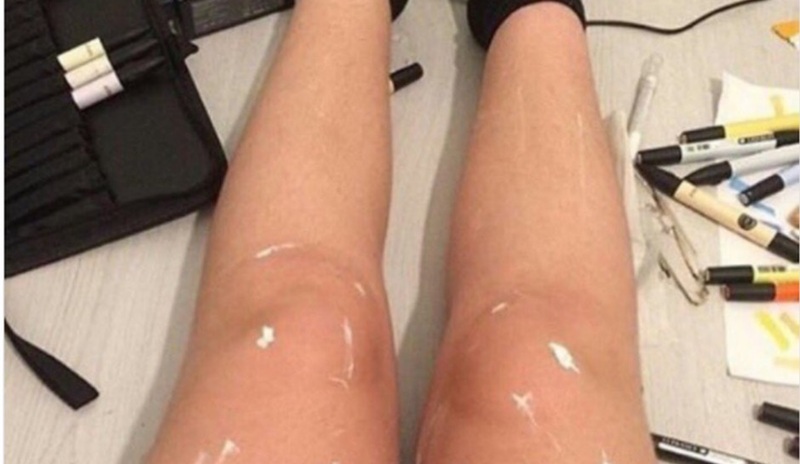 Instagram user Hunter Culverhouse posted a photo of legs covered in white paint, but some people are seeing shiny, glossy legs instead. Culverhouse told Insider‘s Jacob Shamsian that the illusion was created on accident. What do you think? Shiny legs or legs with white paint?